We at Manhattan Fruitier love salami too, so last week we created a line of salumi gifts that we’re hog wild over, featuring Charlito’s phenomenal scratch-made charcuterie. 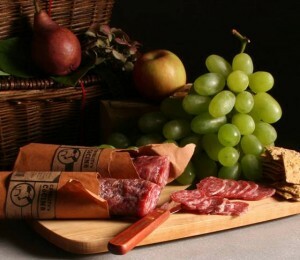 Campo Seco, a dry-cured country sausage and Cerveza Seca beer salami from Manhattan Fruitier. 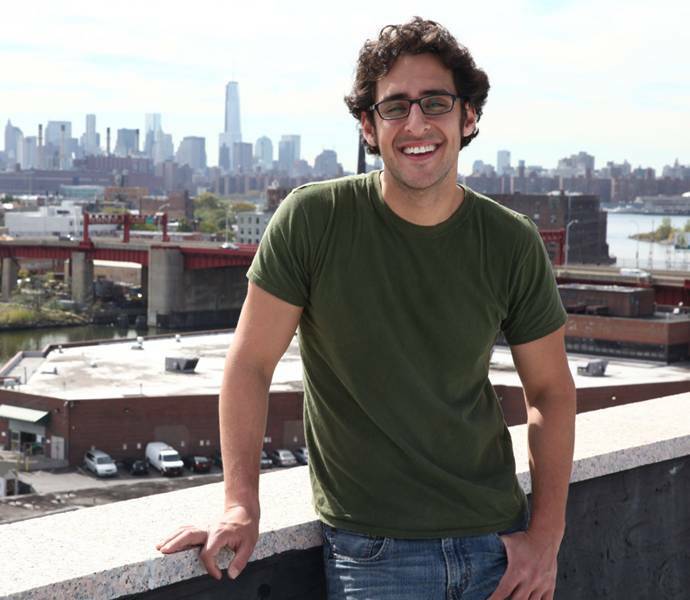 Charlito shared a few moments with me last week to talk about the business of salumi while installing his booth for Madison Sq. Eats, the extremely popular culinary pop-up market in Madison Square Park, NYC. 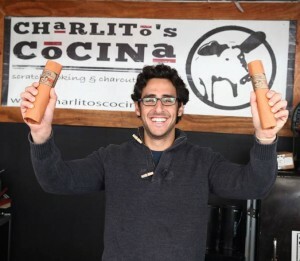 to talk about Charlito’s Cocina. 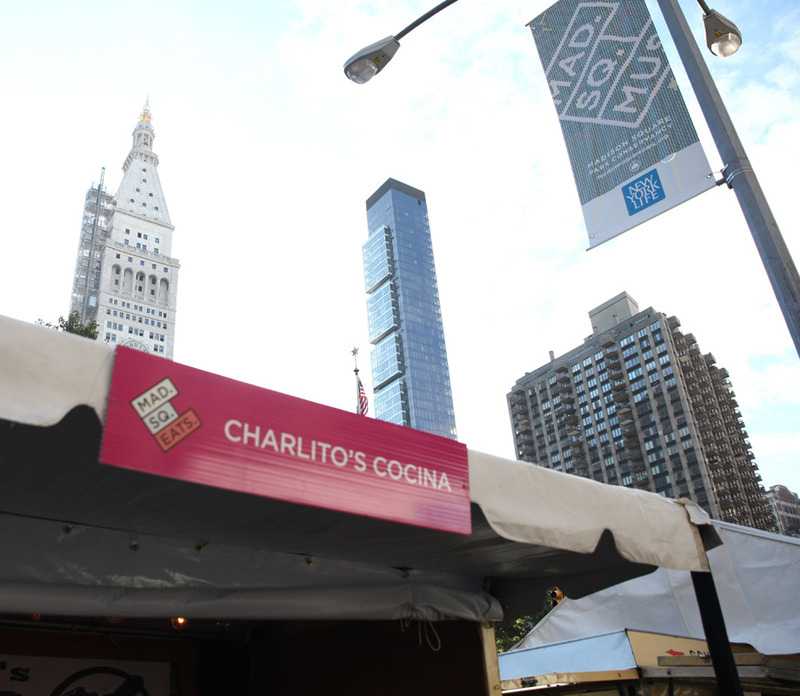 Charlito’s pop-up booth for Madison Eats a culinary pop up market in the heart of Madison Square Park. 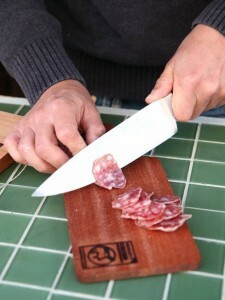 Salumi is a beautiful thing because you take a piece of raw meat and you don’t cook it. You leave it in the temperature zone which supposedly makes it go rancid then leave it in that in that zone for really long periods of time. With patience and the proper manipulation, it does the opposite of going rancid and spoiling, it actually preserves the meat and tastes really good! And what is the proper manipulation? How does it not go rancid? By mixing meat, herbs and spices with salt and hanging it up to dry in a controlled environment. Tell me a little bit about the pork you use to make your salumi. The pork that we use is all heritage breed, pasture-raised, antibiotic-free, hormone-free pork that is raised on family farms in the Midwest. Heritage breed pork, in this sense, is analogous to an heirloom tomato. It hasn’t been crossbred. It hasn’t been mixed with anything else. it’s pure-bred meat. Heritage breeds were and still are rare in U.S. and they were dying out for the most part but there’s been a resurgence in the production of heritage breed pigs. So now we’re seeing an increase in the number of heritage breeds that we are able to use. The particular breed that we use is Berkshire; it’s really good meat. Who or what are your influences in the food business and in the world-at-large? A very big influence is my father: his style of running a business and his ethics, his efficiency. What you’re selling is obviously very important but there is a danger when you get into the day-to-day elements of running a business-you can become less focused on what you’re actually selling and why you started in the first place- the passion for the product can become a smaller part of what you do and you tend to focus more on making sure that the logistics are happening so that the business is running. That can be extremely frustrating. But I think every day of what got us into it and I focus every day on the integrity of the product. Don’t get me wrong– having a good business foundation is really essential. I am very lucky. 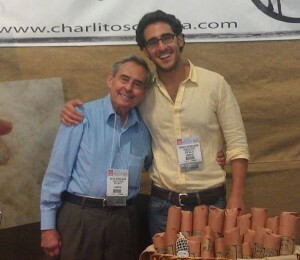 Charlito and his dad, Natan Wekselbaum, at the Fancy Food Show at the Javits Center in NYC. My father was and continues to be an enormous influence in the way I do business. A side note– his business dealt a lot with the part of the food industry which is rarely spoken about– the equipment side, the materials. He sold a lot of housewares and was very influential to a number of chefs who relied on him for really, really great equipment. Without good tools, it’s hard to build a good house. Where do you see your company a year down the road? Our goal for the next year is to build our own manufacturing facility. Right now we work out of a third-party facility. It’s wonderful, a really great place but it limits the amount of product we can make and also limits the amount of attention we can pay to the little details that go into this process. Are you on the road a lot, going back and forth to the facility? On the road to the facility at least once a month and I’m usually traveling somewhere else at least once a month…makes me gone from my home for at least half the month. So you are looking to minimize that. We’d like to have everything under one roof. Is there any potential on the East Coast or is it too cost-prohibitive? No, it’s going to be on the East Coast, whether it’s going to be in New York or outside–I want to live on the East Coast. Ideal economically and also in a way that makes my life a little less complicated. If I make my life a little less complicated, it’s going to be wise in every way. Can you think of a funny Charlito story? Any great comebacks you’ve perfected over time? Yes, a few good ones, but I’ll tell you another day. What’s a great day for Charlito’s Cocina? When all of our salamis look awesome, when all of our salamis come out the way we want them to: beautiful, and and when our customers are happy. That’s a great day for Charlito’s Cocina.